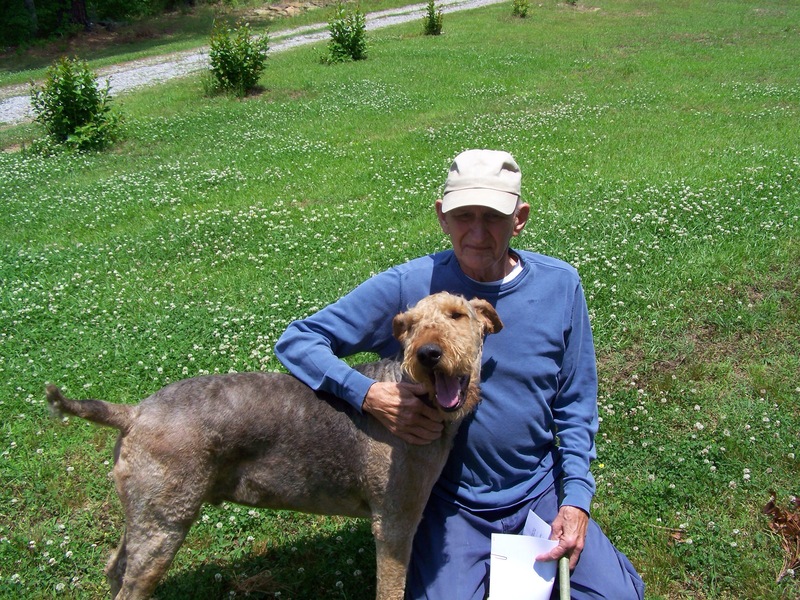 Noah, Jacob were the top baby names for boys but for Airedale boys, the most popular name is Clyde! ARG has another Clyde in ARG care and we are looking for a home for this boy who turned out to be too much for his current owners. 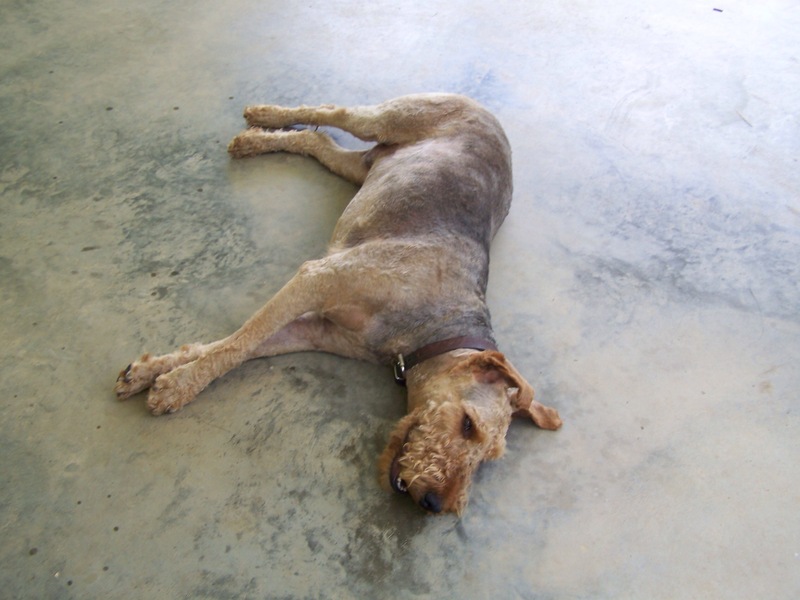 Clyde was purchased by his current owners who has always has Airedales but Clyde turned out to be more than they remembered young Airedales to be! Clyde is an outside dog who yearns to be an inside dog. Who doesn’t want to hang out inside. Cool in the summer and warm in the winter. Clyde is a loving dog and his worst quality is that he jumps up on people. Nothing that an obedience class and leadership won’t cure. He spends a lot of time alone so he is lonesome……he is so happy to see people. Clyde is 70 lbs. 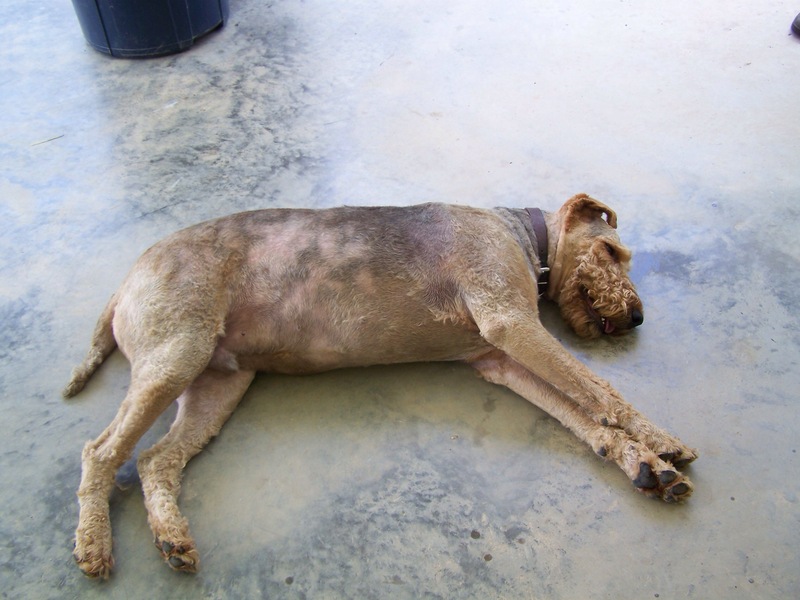 ideally Clyde could lose a few lbs which will happen once he joins an active family who walks and plays with him.